A robbery/assault at Super King, and another theft at 24 hour Fitness (inside this time, instead of the parking lot). 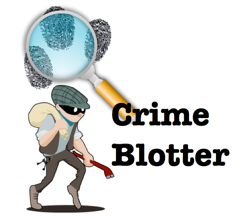 Crime blotter provided by the Altadena Sheriff’s Station. Between 4:00 PM and 1:00 PM (Monday) – A vehicle vandalism occurred in the 3000 block of Marengo Avenue. Between 8:00 AM and 10:00 AM – A grand theft occurred inside 24Hr. Fitness, 2180 Lincoln Avenue. Loss: black tri-fold wallet, currency. 8:56 PM – Pedro Mraz, 24 yrs, of Pasadena was arrested for robbery and assault w/a deadly weapon at Super King, 2260 N. Lincoln Avenue. Between 8:00 PM and 6:00 AM (Wednesday) – A petty theft occurred in the 2100 block of Santa Rosa Avenue. Loss: blue vehicle cover. Between 10:40 AM and 12:20 PM – A residential burglary occurred in the 2300 block of Glen Canyon Road. Loss: watch, stamps, currency. Between 1:00 AM and 3:00 AM – A petty theft occurred at Arco Gas, 2171 N. Fair Oaks Avenue. Loss: keypad to gas pump.